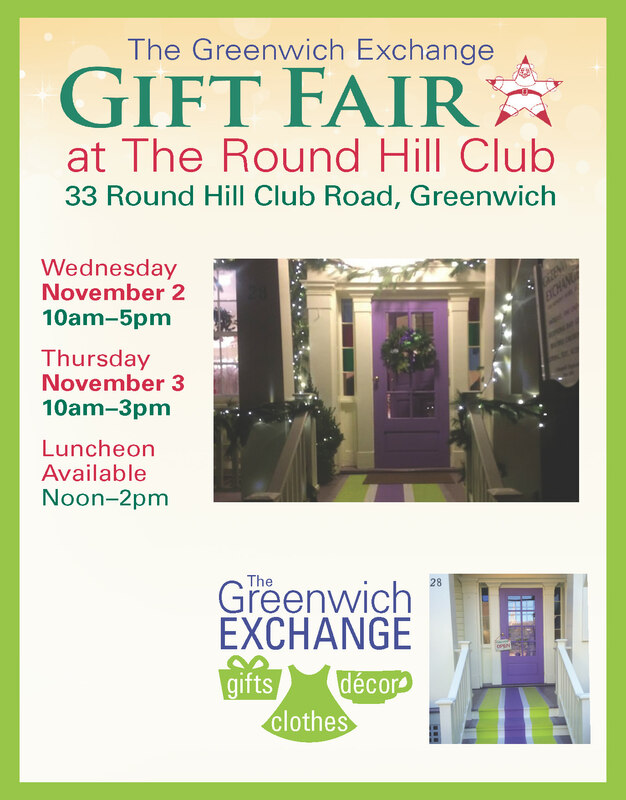 The Round Hill Club affords an attractive setting in room after room of space for artisans and crafters selling their wares in time for the holiday shopping season. The fair continues Thursday, Nov. 13 from 10:00am until 4:00pm, with luncheon available from 12:00noon until 2:00pm. There are over 35 exciting new and long-time favorite exhibitors showcasing unique gifts, distinctive jewelry, home decor, chic clothing and accessories. There are also toys, elegant leather handbags and shoes, hand embroidered linens, fine stationery, Christmas and holiday decorations and gourmet food. And 15% of all sales benefit The Greenwich Exchange for Women’s Work. The Greenwich Exchange for Women’s Work is located at 28 Sherwood Place, Greenwich CT, 06830. Tel (203) 869-0229. Like the Exchange on Facebook.